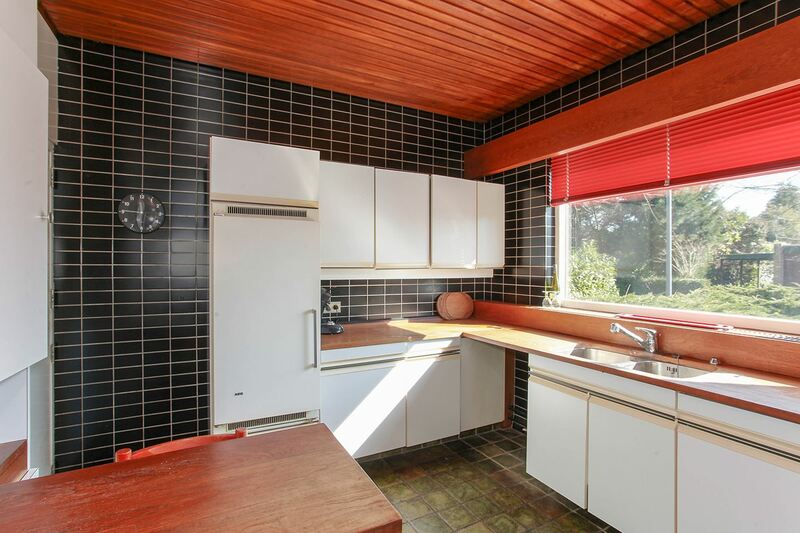 Remember our seventies kitchen? We tore out the wood timber ceiling, got covered in 40 years of mice poo, replaced the delivery door with wall, tore out the 40 year old cabinets only to find more mice poo and opened up the wall. Real life remodeling is something completely different than what any HGTV show makes it looks like. It’s taking set back after set back: extra work, extra costs, delays and faulty deliveries. 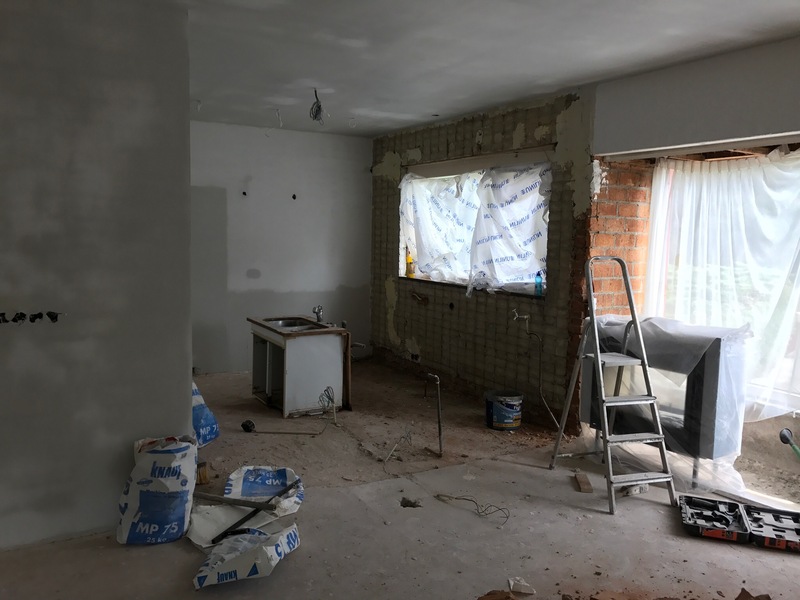 I’m still hoping to write you a happy-go-lucky and picture perfect Before and After post, but now I can only tell and show you what a renovation project looks like half way. And it isn’t pretty. So I really needed a Hallelujah moment and I was rooting for installing the kitchen to be it. 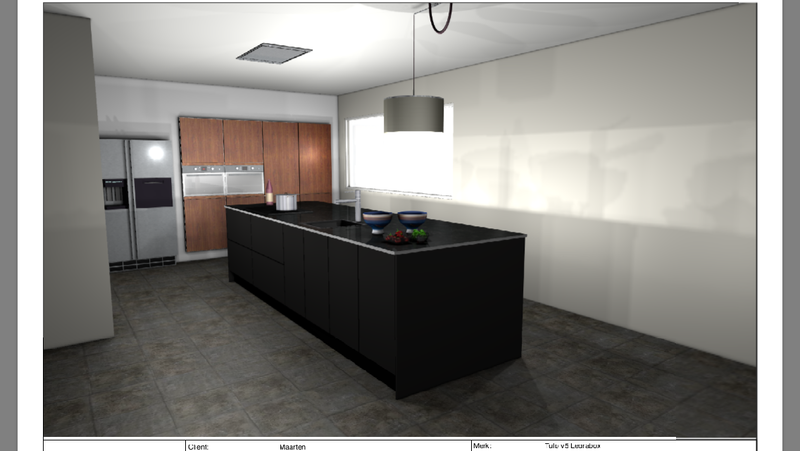 The idea almost half a year ago was a all black kitchen island, with matt cabinets and a granite countertop. Perpendicular to the island a 7-feet wall of cabinets with a steam oven and a microwave/oven with bleached oak doors. Next to that double door fridge. With a black pantry with oak shelves to top it off. But no. Of course we can’t get it right the first time. This renovation is going totally Murphy’s Law on us. Remember I told you the husband loves everything black? He would have never thought he would say it’s too black, but here it is. 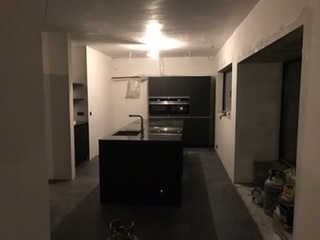 Our kitchen is too black. 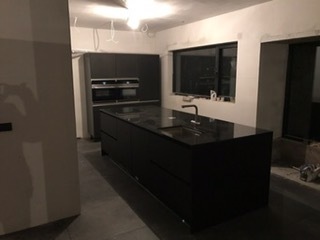 Not only the island and pantry as intended are black, the shelves are matt black too and even worse, the oak doors aren’t stained slightly grey but very black instead. It isn’t the end if it isn’t right. So this is not the end. 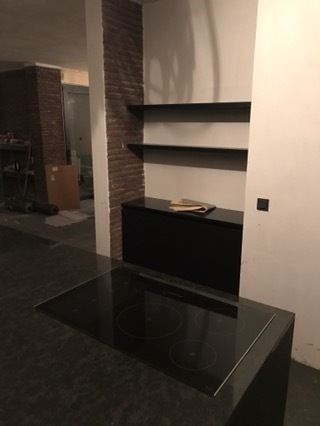 And this is not our finished kitchen. For this post, this week’s events coincided with WordPress’ Daily Prompt ‘Mind the Gap’ about the gap between idea and realization. Oh my, I applaude your courage to keep going! I would have lost my mind by now. Good luck! I needed that one! haha!